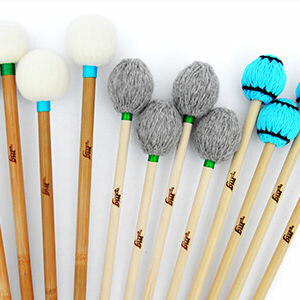 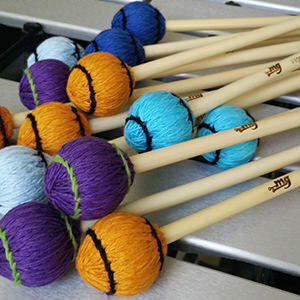 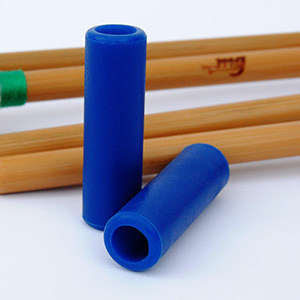 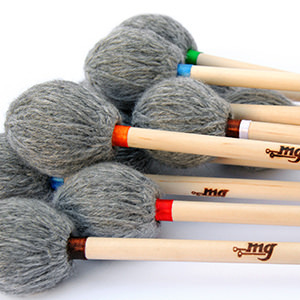 These mallets have a rubber core of various hardness, wrapped by a cotton yarn that guarantees sound quality and endurance in time. 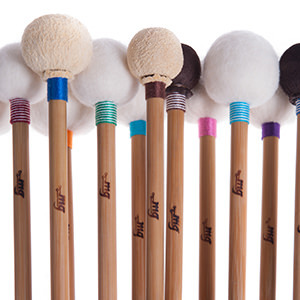 They are distinguished by an excellent articulation, preserving the fundamental tone and a full sound. 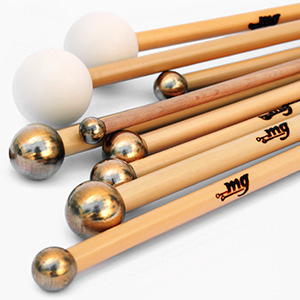 All models feature high quality rattan handles.